Community garage sale find of little excitement. 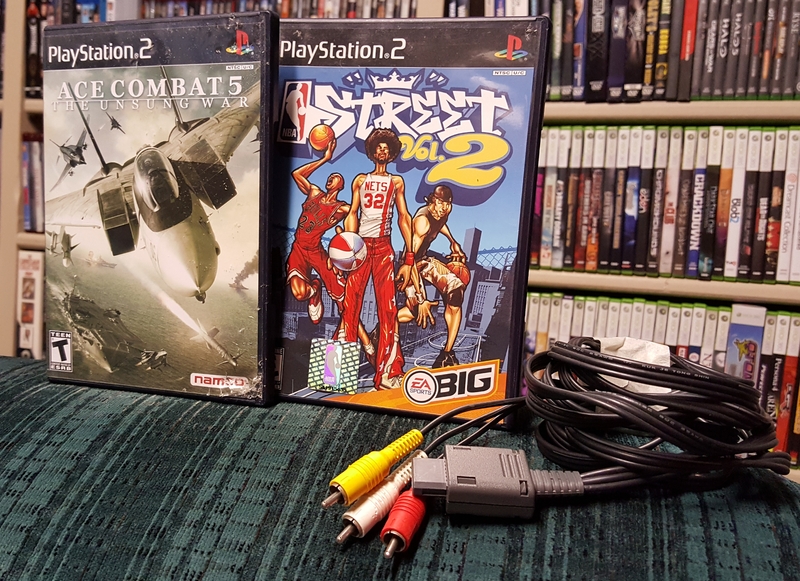 Was in a mood to revisit NBA Street after spending time with NBA Playground while Ace Combat completes the series set on PS2. With the addition of the SNES AV cable, this haul ran me $4.10. Big spender. Been dealing with continuing health issues but in an attempt for normalcy, I headed to a local game store and found… a fishing game. 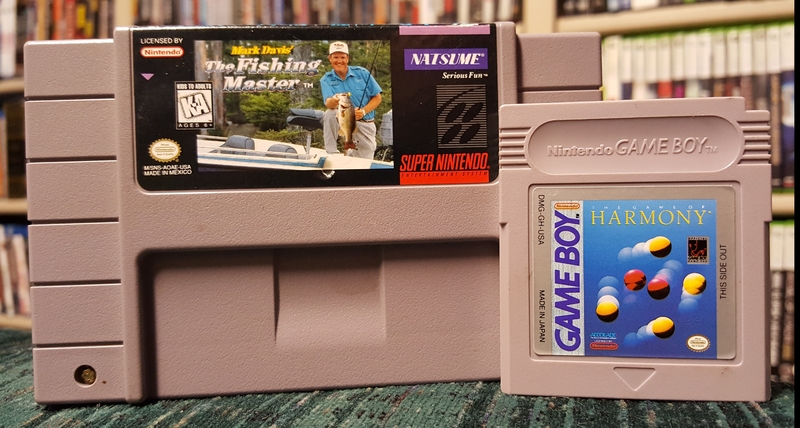 Not terribly exciting, but Mark Davis’ The Fishing Master is not common, and for $8 total with the Game Boy game? Not a bad deal.